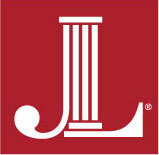 The Junior League of Birmingham has dedicated 116 volunteers and $98,600 to these projects. School Readiness – Improve the educational readiness and the first learning experiences of young children (ages 0-5 yrs). Women and Children’s Literacy – Promote and improve literacy among women and children. Success in School – Prepare elementary students to succeed in later grades and, subsequently, graduate from high school. Birmingham Botanical Gardens – Can You Dig It?